﻿ Are aftermarket throttle grips any good? Q. 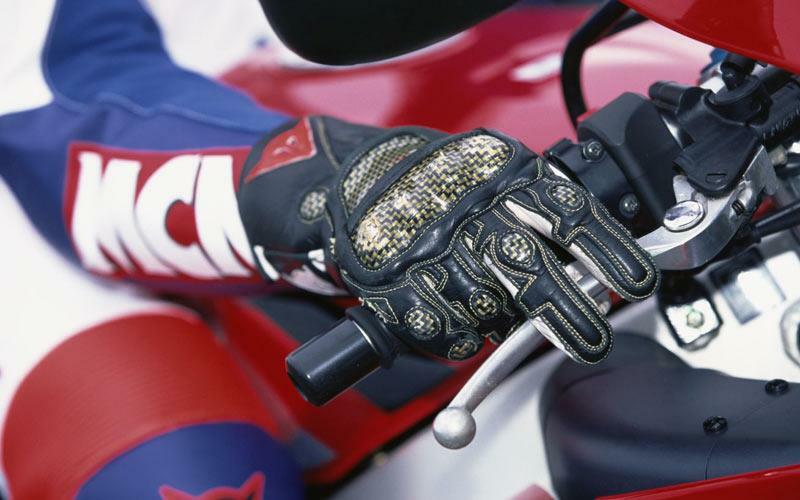 Riding home tonight I was aware of a slight twinge in my throttle hand (nothing major) which set me wondering about my grips and the angle of the clip-ons. It feels like I was gripping (not tightly) almost entirely with the bit between thumb and forefinger and I wondered if the palm of the hand should be more involved (Christ, this is ripe for double-entendres and piss-takes). On the other hand I brake with four fingers and sometimes blip the throttle like that so I must be "palming" it. I recall seeing pictures of track bikes with grey-coloured grips from a manufacturer whose name I can't remember. What's the benefit there? A. Those grips you’ve spotted are made by Renthal to give racers a choice of feel. They have got three different rubber compounds, soft, medium and firm in shades of grey. According to Renthal, the firm grip has the same feel as a stock grip, it is very strong and has very good resistance to tearing and abrasion. The soft grip is extremely soft, it gives you a very comfortable ride, great feel and reduces the chance of blisters, which is really only an issue on race tracks if you’ve seen the way some racers tape up their hands like boxers. However, because the grip is so soft it wears quickly. The medium is a compromise between the two. All three types cost £7 per pair. They also have dual compound grips with the hard compound at each end and underneath, with the softer rubber laid over the top for £10.20. Finally, they have mixed Kevlar ‘beads’ into a soft rubber to give better wear and a tackier feel while damping out the vibes of a highly-tuned race engine for £11.20. The Kevlar grips and the dual compound range also come in a 32mm outer diameter size which may suit those with a larger hand. Another option are Grip Puppies which will slip over the standard rubber grip, but are claimed to be “rock solid” when they are fitted. They are soft and squeezable, so probably better on less sporty bikes. Cost is £13.99. The other “twinge” factors to consider are the angle of the bars in relation to your arms, the type of gloves you are wearing or wheel balance.